Uncategories How many guys will come out boldly to say this prayer on their facebook wall? How many guys will come out boldly to say this prayer on their facebook wall? 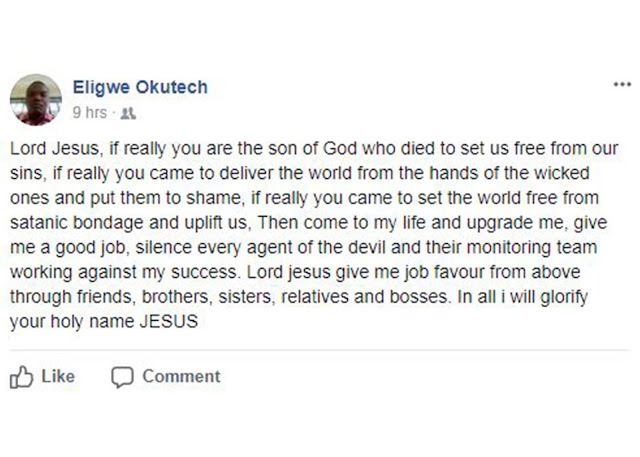 Facebook user Eligwe Okutech took to his wall, praying out loud for a job. 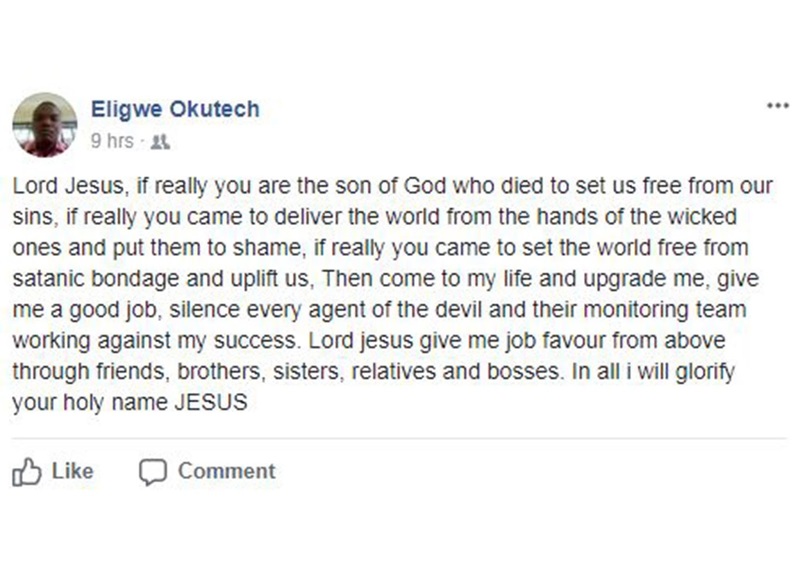 Nigerians are no longer hiding it anymore, even on social networks they are praying fervently for job, okay God is not on facebook to answer this kind of prayer per say but the truth of the matter he has voiced out challenging the person of Jesus to come for intervention in his life concerning his career. 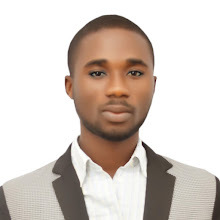 Fellow Nigerians, please help him, he needs a good job!